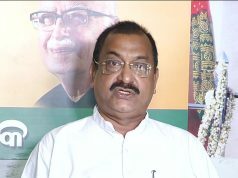 Bhubaneswar: The Biju Patnaik Birth Centenary Committee on Thursday said a book entitled “The Tall Man Biju Patnaik”, written by noted writer Sundar Ganesan and to be published by the committee would be released at a special function here on January 27. 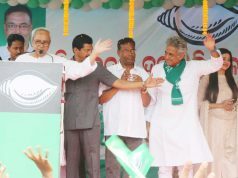 Committee convener Tathagata Satpathy said former President of India Pranab Mukharjee, former Prime Minister HD Deve Gowda, former Deputy Prime Minister LK Advani, CPI(M) secretary general Sitaram Yechury and eminent journalist Prabhu Chawla would attend the function to be presided over by Chief Minister Naveen Patnaik. 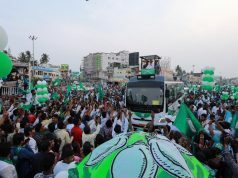 Odisha’s eminent writers, journalists and other important dignitaries who were contemporaries of Biju Patnaik would be invited to the function. The book is written in English to mark the birth centenary of the late legendary leader Biju Patnaik. The author has focused on the courage and daredevil piloting ability of the former Chief Minister of Odisha.